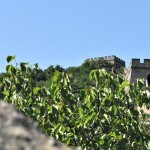 « Day 78 in Beijing: The Great Wall of China at Mutianyu, Part 1. 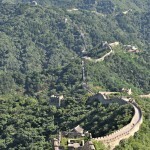 Day 79 in Beijing: The Great Wall of China at Mutianyu, Part 2. As we bought our tickets for the cable car, our friend Kean did his best to order what we wanted. 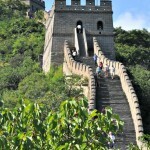 Our thoughts were to do the cable car going up, walk the Great Wall, and then take the tobaggan down the mountain. Yep, they have a tobaggan that takes you down the mountain after you finish walking this majestic piece of Chinese history. Imagine if they had a tobaggan ride from Macchu Picchu. 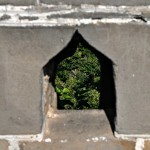 The absurdity of it all just fits so perfectly in China. 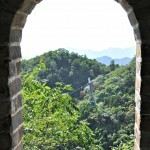 As we rode up the cable car, we had gorgeous views of the valley and started to see bits and pieces of the Great Wall. After about 10 minutes, we reached the end of our ride and hopped off. 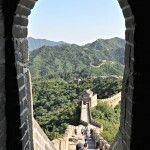 We headed towards the Wall and started taking massive amounts of pictures and just taking in the sights. I have to admit being rather stunned and amazed by the size and grandiosity of the Wall. 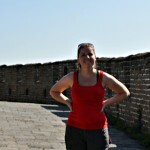 Jill and me at the Great Wall at Matianyu. The Wall just drops away and down. 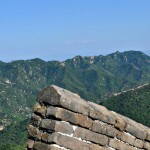 A view of the valley and the guard towers. 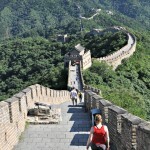 Walking down the Great Wall. 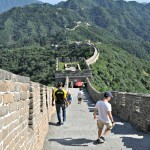 Walking up the Great Wall. 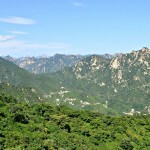 The mountains surrounding the Great Wall. 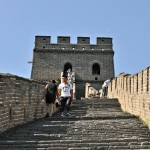 Climbing towards a guard tower. Kean, Stephen-Claude, and Jermaine. 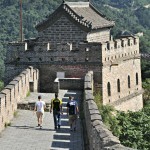 Cruising the Great Wall. The cable cars passing each other. Just one of my favorite shots. Jill resting up before the next hike. Kean taking a picture of Jermaine. 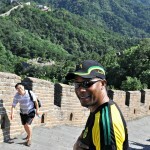 Welcome to Beijing and China, Jermaine! 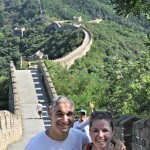 Jill and me making like tourists on The Great Wall of China! 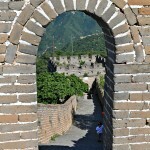 The Great Wall through an archway. I decided to “photobomb” this kid taking a picture of his mom. He then asked me to take a picture with him. So sweet. 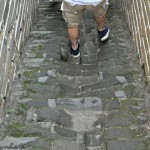 Steps that have been worn down through thousands of years. 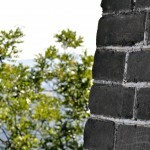 This reminds me of Istanbul and the way they did stonework there. 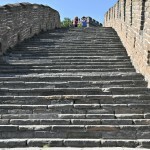 It is much more amazing than I would have ever imagined and even a few days after just keep thinking how incredible that I was able to be at the Great Wall and have this memory for the rest of my life.